The World Series is an undeniably exciting time to be a baseball fan, as the best team from the National League and the American League compete to be the MLB’s reigning champions. At Spike’s, we’ll be watching each game from the edges of our seats. Known for our trophies and awards in Philadelphia, we have to respect some of the most iconic commemorative items in all of sports, one in particular is The Commissioner’s Trophy. 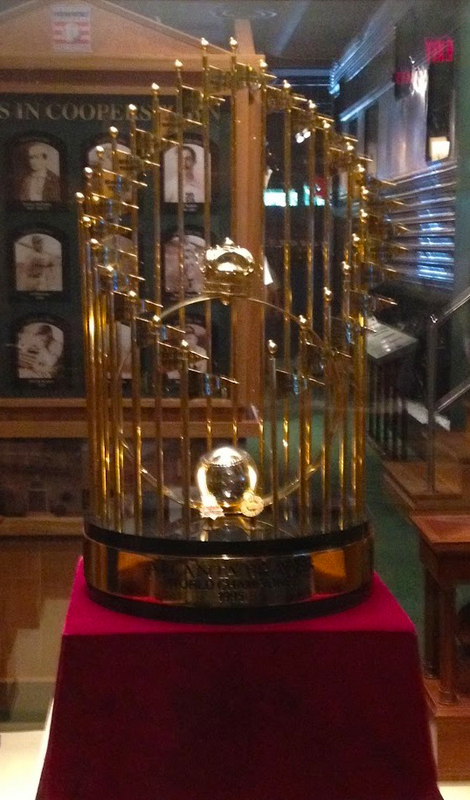 Awarded to the baseball team that wins The World Series each year since 1967, The Commissioner’s Trophy is one of the four most important awards in American sports, alongside the Stanley Cup, Larry O’Brien Trophy and Vince Lombardi Trophy. The Commissioner’s Trophy was named in 1985 and stands as the only major sports trophy that does not carry the name of a person with it. The current iteration was designed in 1999 by Lawrence Voefele, and first awarded in 2000. Manufactured by Tiffany & Co., the trophy stands more than two feet tall and is 11 inches in diameter. Depicting 30 flags around a stylized baseball diamond with a silver baseball in the center, the trophy is 30 pounds, mostly comprised of sterling silver. On October 25th, The World Series begins. This entry was posted in Uncategorized on October 25, 2016 by Spike's Trophies. One thing that we’re taught throughout life is to work hard, and you can make anything possible. There are some people that turn that bold statement into truth and encourage other people to follow in their hardworking footsteps. Jordan Burroughs is one of those people. 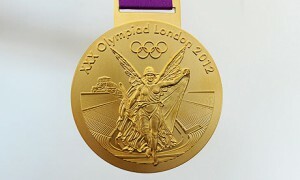 He has a work ethic that never tires, and it helped him achieve the dream of a lifetime – an Olympic gold medal in London. And all of those success stories need to begin somewhere. For this American wrestler, his success story began when he won his first trophy when he was just six years old. The best part about it was that it wasn’t even a trophy for winning, it was a participation trophy. That trophy impacted Jordan though and inspired him to do his best to keep winning more. It taught him exactly what hard work can do. 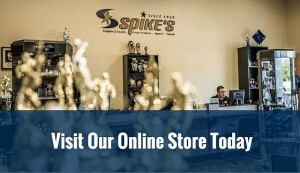 At Spike’s Trophies, we were inspired by Jordan Burroughs’ rise to success. We have been making and distributing trophies and awards in Philadelphia since 1929, and we hope that our products will contribute to the efforts and success of children and adults everywhere. We believe that trophies are fantastic ways to reward children and make them want to work harder to find their own success and achieve their own dreams. From a participation trophy to an Olympic gold medal, no one can deny that Jordan Burroughs’ story is inspiring. He says that his work ethic comes from his parents, which he learned from his blue-collar construction worker father. 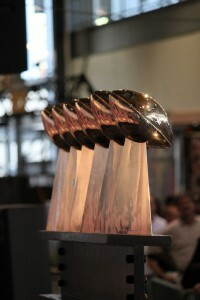 We have sports trophies in Philadelphia for many different types of occasions. Whether you want to motivate, encourage, or congratulate a person or a group of people for winning, participating, or for another reason why they should be proud, we know that we’ll have something for you. For Jordan Burroughs, losing wasn’t an option. He worked hard every single day to become what he is today. We look forward to encouraging the youth of America to work as hard as him. Trophies are a motivation for hard work and success. To learn more about our trophies, awards, plaques, and more, contact us at 855-652-4030. This entry was posted in Uncategorized on October 5, 2016 by Spike's Trophies. Come To Us For Your Fantasy Football Awards! Are you ready for some football? Those famous words were first sung by Hank Williams Jr. in the Monday Night Football theme song. Although that’s not the theme song for Monday Night Football anymore, many people still say it (and sing it) when they’re excited about a football game. And since football season is underway, it’s time to watch your favorite teams win and your least favorite teams be left in the dust. It’s also time for fantasy football. At Spike’s Trophies, we make trophies and award for all occasions. Whether you want a sports trophy in Philadelphia for your little soccer star or a corporate award for your company team members, we’ll be able to provide you with what you want. The good news is that we also make trophies and awards in Philadelphia, PA, and other local areas, for people who play fantasy football. We have plenty of experience in designing the custom trophy of your dreams. 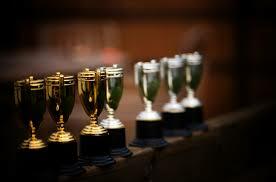 Since 1929, we’ve been making all kinds sports trophies, custom trophies, and awards. If you’re not fully satisfied with just winning the right to brag (or money!) when you’re playing fantasy football, we have an option that will help you remember this time in your life for years to come. 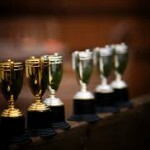 We can provide you with a quality fantasy football award for your league. Let the winner know that they’re triumphant and make the losers a little bit jealous of the beautiful award that they hoist up at the end of the season. 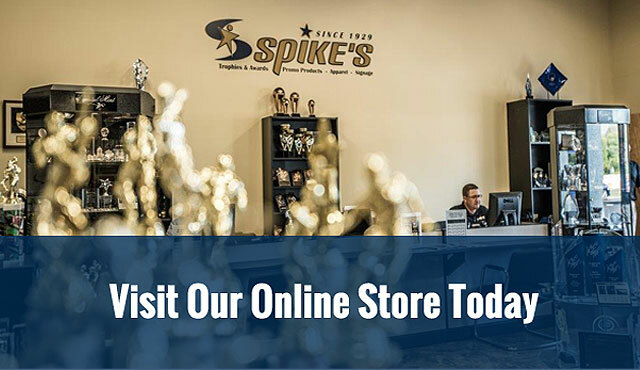 We have more than plenty of options to choose from here at Spike’s Trophies. Our New Jersey sports trophies can range from a traditional to a more contemporary style, with all types of stones, woods, marbles, glass, metals, acrylics, resins, and more. We can also customize the message that you’d like to appear on the award. If you’d like to browse through our broad selection of awards and trophies or create a personalized one for your fantasy football league, we can help. You’ll be singing “Are you ready for some fantasy football?” in no time. To learn more about our trophies, contact us at 855-652-4030.